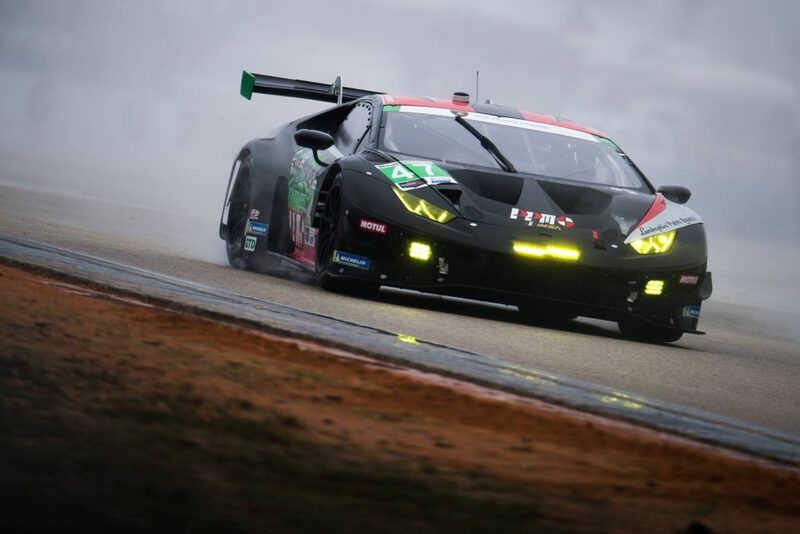 SEBRING, Fla., (March 19, 2019) – Saturday afternoon at Sebring International Raceway, Precision Performance Motorsports (PPM) completed the second and possibly the most challenging event on the IMSA WeatherTech SportsCar Championship calendar: The Twelve Hours of Sebring. With minimal track time due to a crash during the second practice, the team put in a monumental effort to get the No. 47 PPM Lamborghini Huracán GT3 EVO repaired in time for the final practice, completing the task to have a fast car for Saturday’s race. 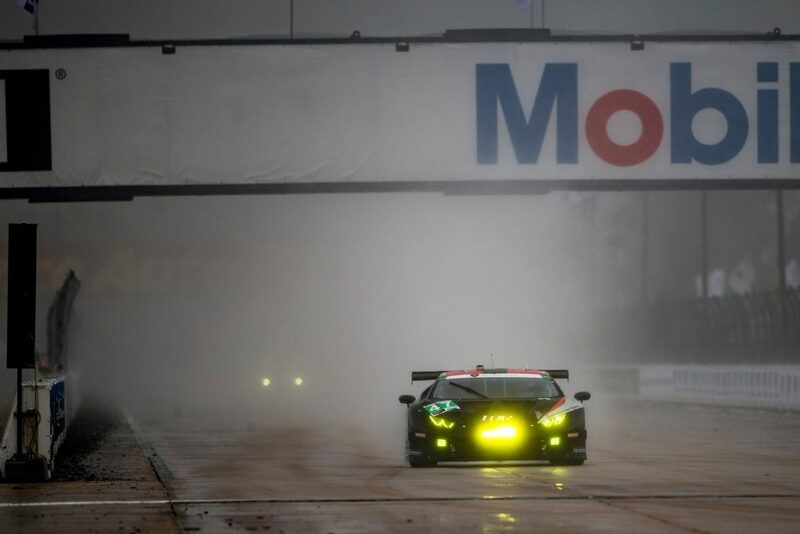 Just like round one of the IMSA Championship, the Twelve Hours of Sebring endured several hours of rain, resulting in additional challenges for all competitors in the field. While Brandon Gdovic qualified Lamborghini in fifth after an impressive quick lap in qualifying, the team chose to pit early and change to driver, Don Yount and join the rear of the field as the race ran the first hour under caution due to weather conditions. Over the course of the twelve hour race, the team worked diligently to race their way back up the field. Waiting for caution periods and pass around opportunities that never came, drivers Brandon Gdovic, Lawson Aschenbach, and Don Yount raced hard to make up the lost track time, running lap times comparable to the GTD class leaders. In the end, the No. 47 Lamborghini Huracán GT3 EVO finished 12th, a true testament to the hard work and dedication from the crew to rebuild the car on the Thursday before. The IMSA GTD class will take a two month break before the next round, the Acura Sports Car Challenge at Mid-Ohio in Lexington, Ohio May 3-5. Round three of the GTD championship will be the season’s first sprint race, running only two hours and forty minutes on a 2.4 mile course. As with all sprint events for the year, this race will run only two drivers per car, with the lineup to be announced at a later date. The Acura Sports Car Challenge will air Sunday, May 4, 2019 from 1:30PM to 4:30PM on NBC Sports Network. 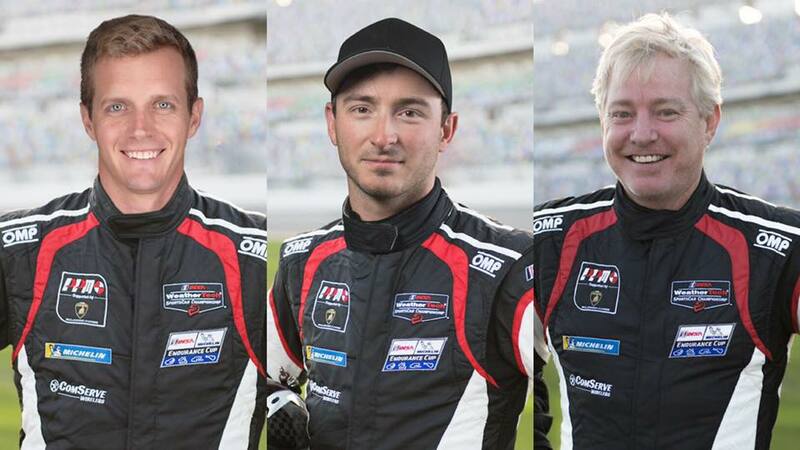 For more information, visit imsa.com.